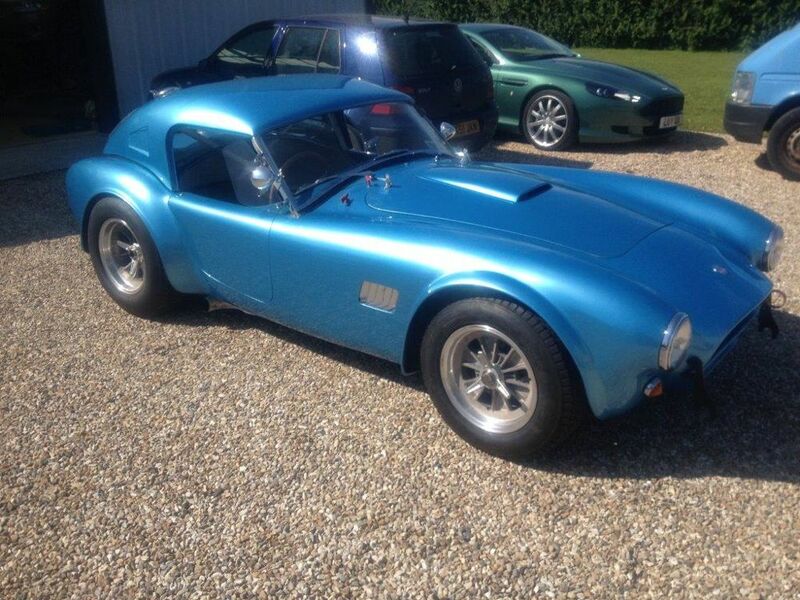 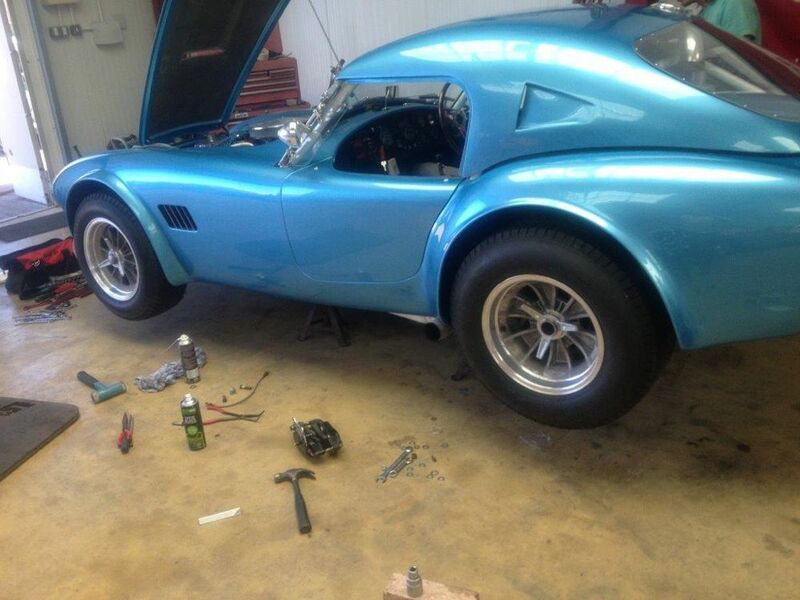 This Cobra replica kit car came to us with MGB front suspension and Ford Granada rear. 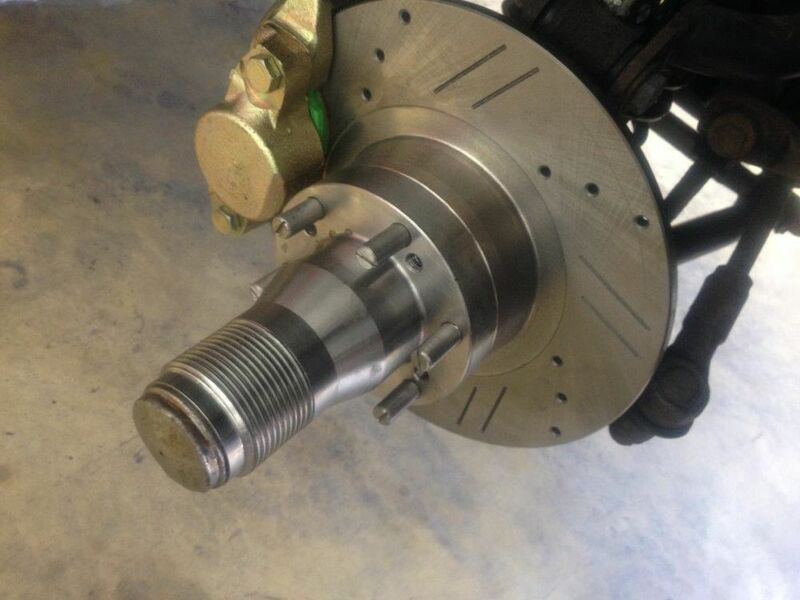 The challenge was to manufacture the new hubs with bearing housings to suit the existing steering and suspension fittings. 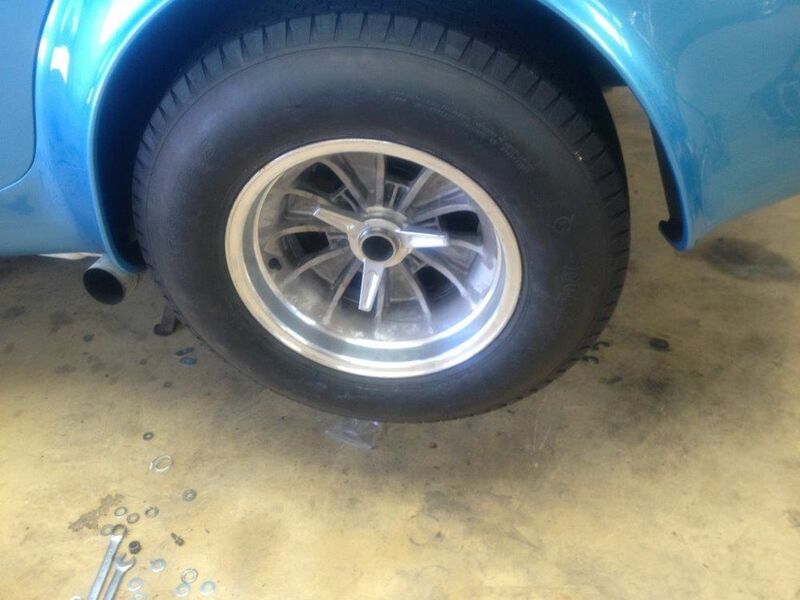 New discs were manufactured and mounted on the rear of the new hubs, the front ones being machined to accept MGB bearing sizes to fit directly onto the steering uprights. 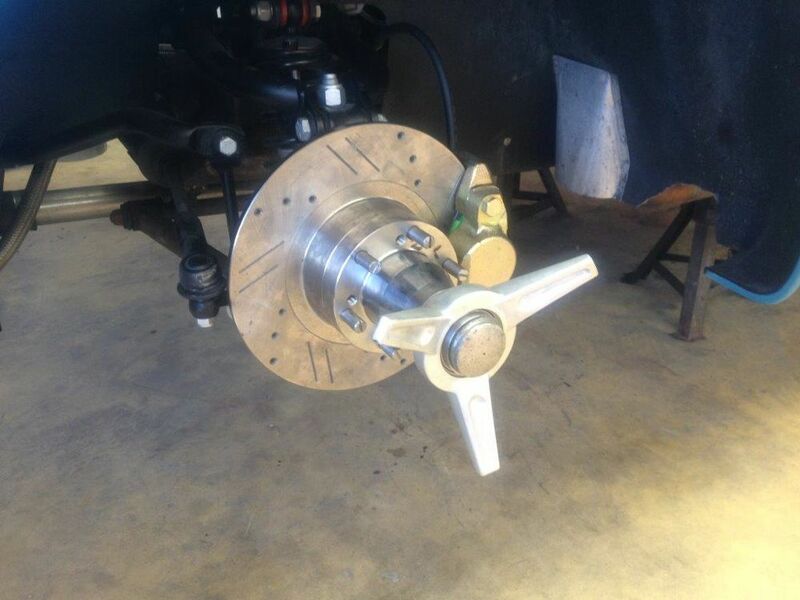 The drive spline from the Granada was copied on to the new rear hubs and the lower suspension mount has been modified to suit the new, wider wheels. 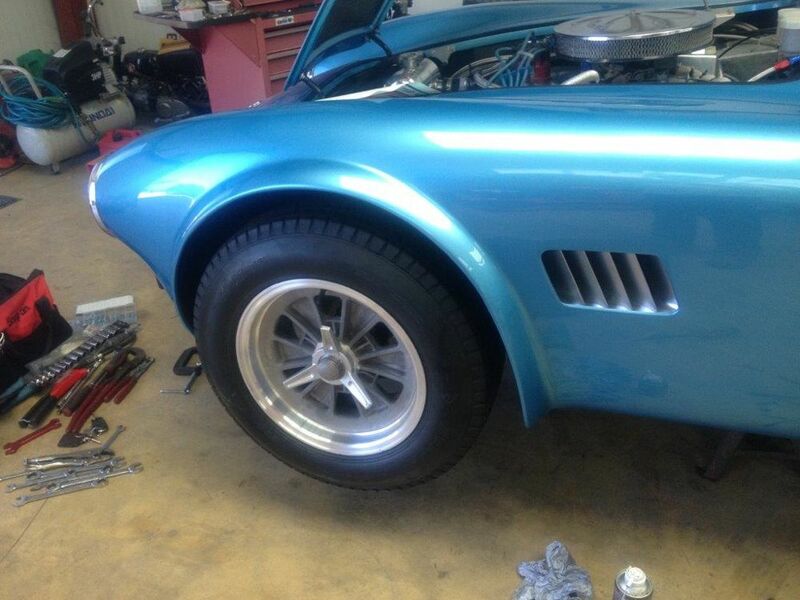 These now fit perfectly, and add the appropriate classic look and feel to the car, which now benefits from new discs and hubs in the latest materials for better performance and longer life than the old units.